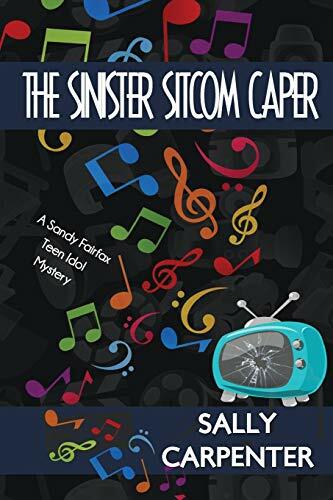 Sandy Fairfax, former teen idol and star of the '70s hit TV show Buddy Brave, Boy Sleuth, is now middle-aged and realizes that making a comeback can be murder. He's the guest star on Off-Kelter, a corny family situation comedy, and the lowest-rated TV show of the 1993 fall season. Before rehearsals barely begin, one of the actors drops dead at Sandy's feet, and he feels obligated to investigate, enlisting the aid of two of his new castmates: a little person and an animal actor. As the victim apparently had plenty of enemies, Sandy realizes that his detecting job will not be easy. During his snooping, we meet Sandy's ex, his parents and his teenage son––all with their own “situations” going on. During rehearsals Sandy also encounters a beautiful choreographer--could this be love? Will Sandy solve the murder before the Friday night taping of Off-Kelter or will the elusive killer cancel our hero before the final credits? This book was inspired by the author’s experiences working as a tour guide/page at Paramount Pictures in Hollywood.